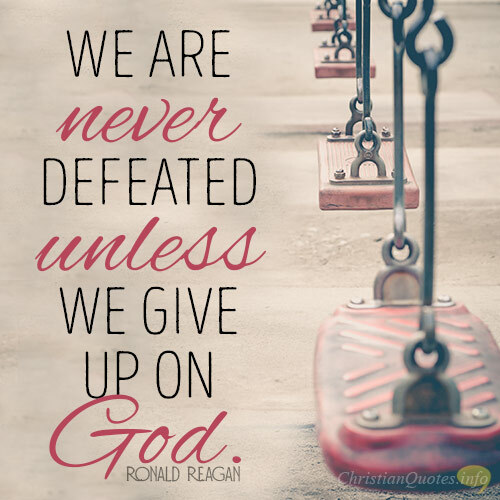 God will never give up on us. 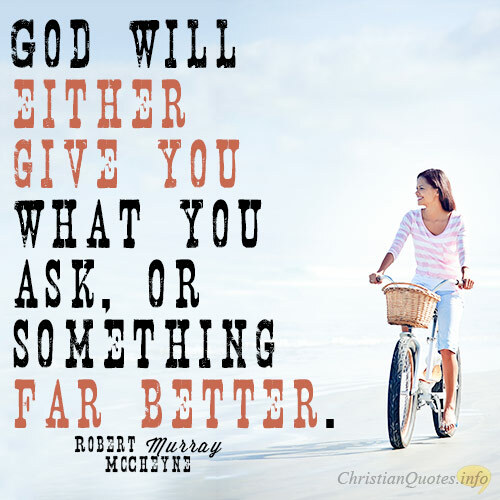 So why would we ever think about giving up on God? Remember the story of the Prodigal Son. Weren’t we all prodigals at one time or another? The most vivid image of the prodigal son was “while he was still a long way off, his father saw him and felt compassion, and ran and embraced him and kissed him” (Luke 15:20). 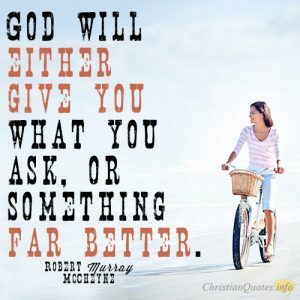 Obviously, the prodigal’s father never gave up on him because he was waiting and watching for him, somehow knowing that he’d return, and he did. 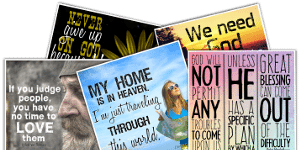 God says to you and me, “… I will never leave you nor forsake you” (Heb. 13:5). But even more, “… we can confidently say, ‘The Lord is my helper; I will not fear; what can man do to me?’” (Heb. 13:6), even when the enemy is us! 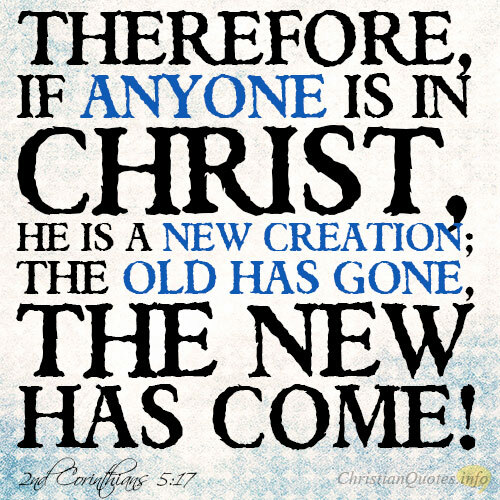 Yes, we can be our own worst enemy, and the worst thing we can do is give up on God, Who never gives up on us. It’s ironic that just before Jesus departed and ascended to heaven, He said, “… behold, I am with you always, to the end of the age” (Matt. 28:20b). 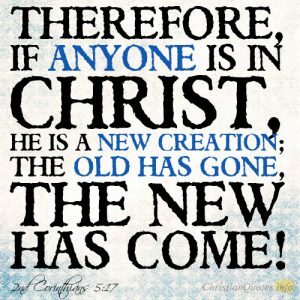 How can Jesus be leaving and yet say “I am with you always, to the end of the age”? Because Jesus promised that “… where two or three gather in my name, there am I with them” (Matt. 18:20). Even when Paul was facing an uncertain future in Macedonia, “… the Lord said to Paul one night in a vision, ‘Do not be afraid, but go on speaking and do not be silent, for I am with you, and no one will attack you to harm you, for I have many in this city who are my people’” (Acts 18:9-10). As a result of this encouragement, Paul “… stayed a year and six months, teaching the word of God among them” (Acts 18:11). 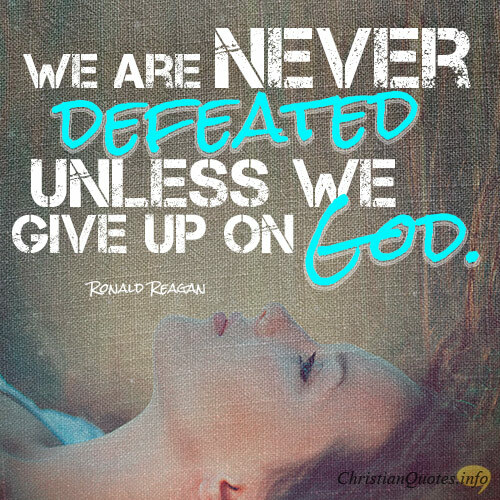 The late President Ronald Reagan was right when he said that we are never defeated unless we give up on God. 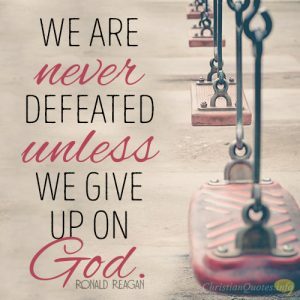 We should never give up on God because He never gives up on us, He never leaves us, and He will never forsake us, even when we forsake Him.